What are the hardest languages to learn for an English-speaking student? 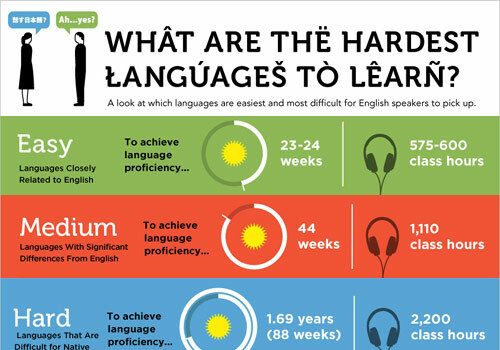 This infographic compares the learning difficulty of many languages depending on the minimal time to achieve language proficiency for native English speakers. If languages like Spanish, French or Dutch should need about 600 hours to reach that level, Hindi, Russian, Thai or Greek would need about the double time to get there, and Arabic, Chinese, Korean and Japanese would double agin this time with 2,200 hours of class hours.